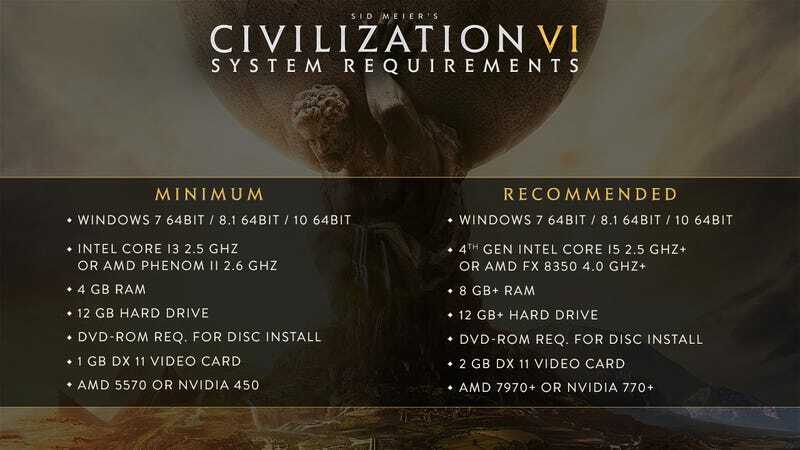 Your PC must be this powerful to run Civilization VI. 2K has revealed the modest minimum and equally modest recommended specs. Not shown are the maximum specs, as some fool would try to top them and get us all killed.